The World Tourism Fair (WTM-2018) has ended in London. Greece was among its members. Tourism Minister Elena Kundura announced the data of the positive dynamics of the industry and presented a new plan for its development. 2018 was the most successful year of Greece in terms of tourism, and its indicators can be called the highest, taking into account the results of the previous four years of continuous growth. “The results exceeded all expectations,” said Elena Kundura during a press conference held on the opening day of the WTM World Tourism Exhibition. The minister explained that such a consistently rapid development of the tourism industry was a small miracle for the economy as a whole. This is indicated by growth figures, which are equal to 2.1% this year. By approximate calculations, in 2019 they will reach 2.9% аnd will be the highest in the last 10 years. “This is the beginning of a new era for Greece and its economy. And our goal is to maintain this strong momentum in the tourism sector and continue to develop”, said Elena Kundura. During the WTM, the minister presented a new development plan for the country called “The Next Day in Tourism”, in which actions with growing demand for holidays in Greece among tourists from all over the world are clearly marked. The essence of the new plan is to enrich the country's tourism opportunities by developing the infrastructure, improving the services offered and creating a competitive tourism product with access to the world market. What does the new development plan include? First, it is the launch of specially designed programs to increase capacity, as well as improving the quality of hotels. Secondly, it is attracting investors to the development of theme parks and recreation areas. According to the plan, over six new cruise ports, a network of medium and large berths, as well as new tourist destinations combining cruises and land excursions will be launched. 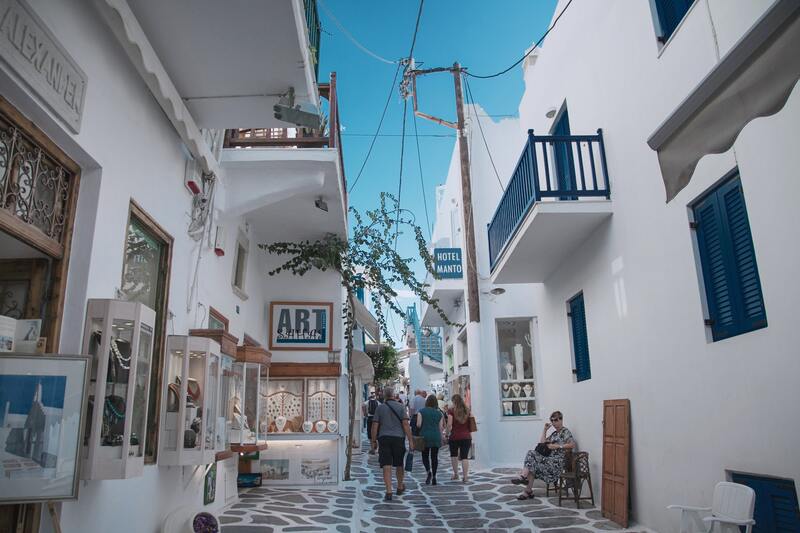 Subsequent development steps include the development of an “open business program 365 days a year.” This means that during the year the Greek government is ready to support specialized training programs for tourism industry employees offering thematic products and services. The topic of tourism education was also touched upon by the minister. And one of the priorities in the industry is the British market. For nine months of established flights from the airports of Britain to Greece, the increase in tourists was 9% – this is more than 3.200.000 tourists. The same close cooperation is expected in 2019. Currently, Greece is in the top three of the best cruise tourist locations in Europe and cooperates with the largest cruise lines from around the world. The Minister stressed that the industry representatives are already negotiating the expansion of tourist packages and launching new flights from foreign airports to Greece. Also, so-called dynamic proposals are being developed, targeting popular Greek islands – large and small. Industry specialists are actively engaged in the modernization of the education system in the tourism sector, improving the quality of services and thereby meeting the high demand for specialized jobs in the tourism industry.